Home » Dispatches » What happens in Syria now? 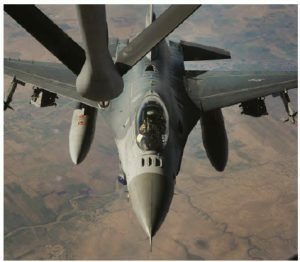 The United States’ entry into the coalition fight against the Islamic State began in 2015; the Islamic State had cut out large swaths of territory in Iraq and Syria, claiming a caliphate. In the following three years, the self-declared caliphate has all but been eradicated; however, throughout Syria and Iraq, the Islamic State (IS) has not disbanded, nor has its narrative been defeated. Moreover, it continues to attract adherents to the cause and continues to perpetrate terror attacks worldwide. And a lack of political stability could easily usher in a phoenix-like return of Islamic State supporters and, likely, their territorial aspirations. On Dec. 9, 2018, U.S. President Donald Trump tweeted that the Islamic State had been defeated in Syria and that it was his intention to pull back American forces from that war-torn region. Trump’s statement directly contradicts a report to the U.S. Senate by Daniel Coates, director of national intelligence, on Jan. 29. It states, “[IS] still commands thousands of fighters in Iraq and Syria, and it maintains eight branches, more than a dozen networks and thousands of dispersed supporters around the world, despite significant leadership and territorial losses. 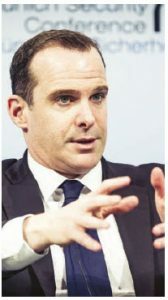 The group will exploit any reduction in CT (counter-terrorism) pressure to strengthen its clandestine presence and accelerate rebuilding key capabilities, such as media production and external operations. [IS] very likely will continue to pursue external attacks from Iraq and Syria against regional and Western adversaries, including the United States. Still, after this announcement, American government officials, U.S. allies and enemies were left pondering when and how this announced withdrawal was to begin. This is easier said than done for a number of reasons. The battle space itself is complex. There are a substantial number of belligerent forces of various political and religious stripes in the area. The withdrawal of American ground forces will have to be measured and well-timed so as not to provide Islamic State jihadists an opportunity to recruit, regroup and garner the logistical capability to resurface as a threat to the region. Another issue of great concern focuses on the 1,300,000 civilians residing in northeast Syria, of which more than a million are displaced people distributed across dozens of camps and communities. An American withdrawal could easily precipitate an exodus, internally and externally, of refugees seeking safety or a modicum of security. For the Kurds, who now control a third of Syria, providing the United States with a dozen bases and airfields as well as observation points, an American withdrawal poses a direct threat to their existence. To date, the Kurds have developed a state apparatus and face a number of forces that are prepared to launch into what they see as their territory. Moreover, Turkey considers the YPG [People’s Protection Units] as a proxy for Kurdish separatists and has massed its military along with its own Syrian rebels along the Turkish-Syrian border. Meanwhile, President Bashar al-Assad’s Syrian government, with the support of Iran and Russia, is intent on reoccupying what it considers to be its Syrian territory. In discussions with the Syrian government in late December 2018, the Kurds invited the Syrian Army to occupy positions in the Kurdish-held cities, including Manbij. This initiative would release Kurdish forces to focus on destroying Islamic State extremists occupying positions east of the Euphrates River. Trump’s announcement of withdrawal has further energized Turkey’s ambitions to be an activist regional power, according to Richard Spencer, writing in The Times. Russia, on the other hand, doesn’t like the idea of giving Turkish President Recep Tayyip Erdoğan regional free rein. Russia hopes to persuade the Assad regime to come to some sort of agreement to protect the Kurds in return for autonomy. This puts the Trump administration in a rather uncomfortable spot as it positions Russia and Iran to have substantial input in the political fate of Syria, on behalf of the discredited Assad regime. For many observers, this perceived abandonment is reminiscent of when the U.S., under then-president Barack Obama, withdrew from Iraq in December 2011. During the American withdrawal, a full-blown insurgency quickly took root, forcing the redeployment of American ground forces into the Iraqi battle space. Reflecting upon the enmity that has existed between the U.S. and Iran since its 1979 revolution, it is hard to ignore that there appears to be a consistent tendency to assist the U.S.’s nemesis. Administration after administration poured in money, personnel and effort to curtail the Iranian influence. American forces removed the Taliban threat that was poised on the Iranian-Afghan border in 2001-2002, and then invaded and occupied Iraq, facing off with Iran’s mortal enemy, Saddam Hussein, who had invaded Iran in 1980. This latter war, reminiscent of the First World War, was dominated by trench warfare, chemical weapons and large-scale frontal attacks. The vicious fighting finally ended in 1988, having taken more than 500,000 Iranian and Iraqi lives. Today, Iran has a land route that connects Tehran to Beirut — one the American taxpayer helped build — which enables Iran’s support to its Hezbollah proxies in Lebanon. More recently, in 2014, the United States cobbled together more than 80 countries into a coalition to fight the Islamic State after it swept, essentially unopposed, into northern Iraq. In this case, again, Iran benefited as the U.S.-led coalition allies, using all source intelligence, massed firepower and manoeuvred to methodically wear down Islamic State forces. Throughout this campaign against IS, Iran had the opportunity to further entrench its influence and strategic position by training and equipping the popular mobilization units made up of Shia militias. This legacy of support continued when Trump ripped up the nuclear deal that had essentially checked Iranian nuclear ambitions through the threat of economic sanctions, combined with substantive “hard-nosed multilateral diplomatic negotiations.” These negotiations shut down Iran’s plans for nuclear weapons, staying their acquisition for at least a decade. In tandem, two thirds of its centrifuges were put in storage and Iran had to surrender 95 per cent of its uranium stockpile. To ensure compliance, negotiations included intrusive inspections to verify compliance with all aspects of the Iranian nuclear deal. Like the McDonald’s scenario (the appreciation that dining at McDonald’s addresses short-term hunger, while as a nutritional strategy, it would likely have long-term health consequences), American strategy continues to pursue short-term objectives, garnering local allies, eradicating immediate threats, expeditiously killing opposition forces, but generally ignoring the broader long-term political context and its cascading consequences. The March 2011 Libyan intervention by NATO, as well as the withdrawal from Iraq in December 2011 are notable as both decisions appear to have created more problems than solutions in the short- and long-term. A number of regional and non-regional actors are positioned to fill the vacuum once occupied by American military presence. Iran and Russia, as key allies of Syria’s al-Assad, see this as an opportunity to expand their respective interests in the region. For Iran, an American withdrawal enables them to embed their influence in Syria and Iraq, essentially redrawing the strategic influence map of the Middle East. Iran has invested thousands of its Shiite forces in the fighting and deployed weapons and drones to ensure Assad’s survivability as the leader of Syria. By keeping Assad in power, Iran secured the vital lines of communication through Syria, enabling Iran to supply weapons and materials to Iran’s Shiite ally and enemy of Israel — the Hezbollah, in Lebanon. Iran also focused on reaching out and strengthening ties with its allies within Iraq and Lebanon, while concomitantly training and equipping Shiite fighters. The long-term intent was to assemble a united front against Israel, should a conflict erupt. As for Assad, this provides an opportunity to tighten his grip on his war-weary nation. Additionally, the threats posed by a number of rebel groups that attempted to overthrow the Syrian government and IS have been substantially neutralized, thanks to the American led coalition. Moreover, an American withdrawal means that Syria’s immediate future will be shaped, in large part, by forces that are supportive to Assad and his immediate and future interests. The U.S. and its NATO ally, Turkey, have, on a number of occasions, found themselves at odds. This conflict was grounded on the American support for the Kurdish forces in Syria that had proven to be the most effective fighters in the field against the Islamic State. In contrast, Turkey saw the Kurdish elements as a rising power along its shared border in northern Syria. Turkey’s Erdogan has threatened a Syrian incursion targeted against the same Kurdish forces that the U.S. government has supported since 2015. An American withdrawal provides Turkey an opportunity to employ its substantial military power to mitigate Kurdish forces and their influence in Syria. As for the Islamic State, it now retains only one per cent of the territory it held at the height of its caliphate. U.S. Vice-President Mike Pence, following Trump’s lead, recently reinforced this notion to a number of U.S. ambassadors at the State Department, saying that “The caliphate has crumbled, and [IS] has been defeated.” Unfortunately, hours later, four Americans were killed and three wounded in a suicide bombing in Manbij, a Syrian city that was being patrolled by American troops. IS claimed responsibility. At its zenith, the Islamic State controlled, between Iraq and Syria, an area slightly larger than New Brunswick and had seized major cities such as Mosul and threatened Baghdad. At one point, the group’s strength was estimated to be close to 100,000 fighters. By 2015, flushed with their successes, IS became a beacon for Islamists around the world. Many Westerners and foreign adherents to the Islamist cause migrated to Syria and Iraq to fight. Meanwhile, a number of high-profile terrorism attacks in Western Europe and North America underlined IS’s philosophical and operational reach. Under Obama and followed up by Trump, IS territory has been greatly diminished. In 2018, IS declared it had lost the capital of Raqqa to coalition forces. Although IS’s harsh caliphate was short-lived, there are estimates that tens of thousands of fighters still live in Syria and Iraq. The threat posed by IS will likely continue in the form of an insurgency supported by sleeper cells, or it will remake itself as a terrorist organization. Either way, neither IS, nor the extremist narrative, has been completely eradicated. To prematurely write off IS suggests its defeat is irreversible. In tandem, it suggests that IS no longer poses a serious threat to the U.S. or the West. Unfortunately, neither of these is verifiable. As long as IS leader Abu Bakr Al-Baghdadi is alive and has adherents to the Islamic cause, the threat posed by IS has not been defeated. Identifying and understanding the possible spectrum of short and long-term cascading consequences of interventions and subsequent withdrawals is an integral part of a political and military assessment. As with the intervention of American forces to support and conduct operations in Iraq and Syria against IS, there will be inevitable regional repercussions should American forces withdraw. With an American withdrawal, Iran will have unrestricted ground access to its Hezbollah allies in Lebanon. This poses an existential threat to the existence of Israel. Both Hezbollah and Iran have unswerving dedication to their mutual aim of eradicating Israel as a state. The departure of Israel’s most important and powerful ally from the region plays into the hands of Iran and its terrorist proxy, Hezbollah, further threatening the stability of the region. The war has resulted in serious civilian costs. It has produced millions of refugees who have been displaced from their towns and cities, as well as countless others who sought refuge abroad. A withdrawal could further destabilize the northern areas of Syria, sparking another wave of refugees. Should the Turkish military be ordered to conduct a ground offensive, there will inevitably be a resurgence of refugees fleeing the violence. Should the Kurdish militias lose control of their areas in northern Syria, Kurdish refugees and others would be forced to seek refuge elsewhere. Trump has stated that American troops will continue to be deployed in Iraq and could project the fight against the Islamic State from there. 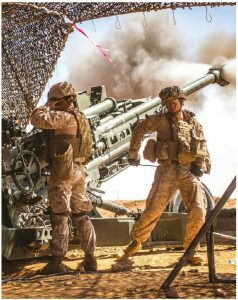 It is notable that the American military is quietly reinforcing its military presence in Qatar and Jordan. As with many political decisions, there are winners and losers. The withdrawal of American forces from Syria before the Islamic State has been completely eradicated as a regional threat remains problematic. It will mainly benefit Iran and Russia, resulting in serious regional consequences. Notwithstanding the foregoing, the U.S.’s regional coalitional partners will require military and intelligence assistance after a withdrawal, in order to pre-empt an IS resurgence in the region. Moreover, Iran and Saudi Arabia, already locked in a proxy war in Yemen, could very well embrace a new battlespace in Iraq and Syria as they vie for regional hegemony and leadership of the Islamic world. Meanwhile, the IS leadership will have to reorganize and save itself to re-emerge when the time is right. In the interim, IS will likely transition to an insurgency or terrorist group until the political climate fosters its re-emergence. In a Jan. 10, 2019, address, U.S. Secretary of State Mike Pompeo advised that the Trump administration “learned that when [the U.S.] retreats, chaos often follows. When we neglect our friends, resentment builds. And when we partner with enemies, they advance.” It may be a moment of synchronicity to think of such consequences.